The 24th annual Covered Bridge Artisans Annual Studio, a self-guided tour and sale that takes place in six professional artists’ studios in the greater Lambertville area, will be held Friday through Sunday of Thanksgiving weekend. It’s a great way to kick off the traditional holiday shopping season, while discovering new artwork and crafts, peeking inside studios on historic properties, and talking to the artists behind the creativity. The idea grew out of a desire to bring visitors into the countryside to see high quality work being produced by studio artisans in their interesting home environments. A detailed map of the tour is available online. Among the studios on the tour is that of Teri Nalbone, located in Solebury. 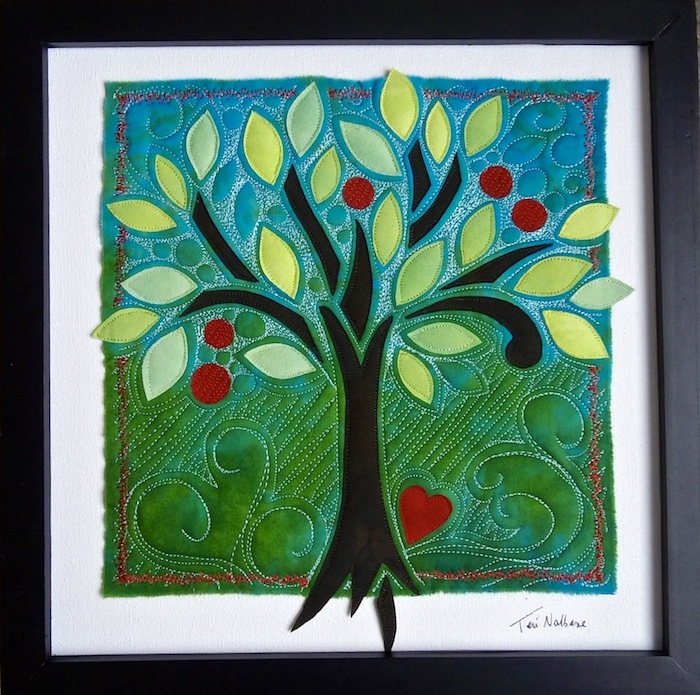 Teri’s work has a foundation in traditional quilting – layers of recycled fabrics are cut and stitched to give new life to worn materials. The difference lies in her vibrant color schemes, and her creation of small, framed pieces of art instead of bed-sized quilts. 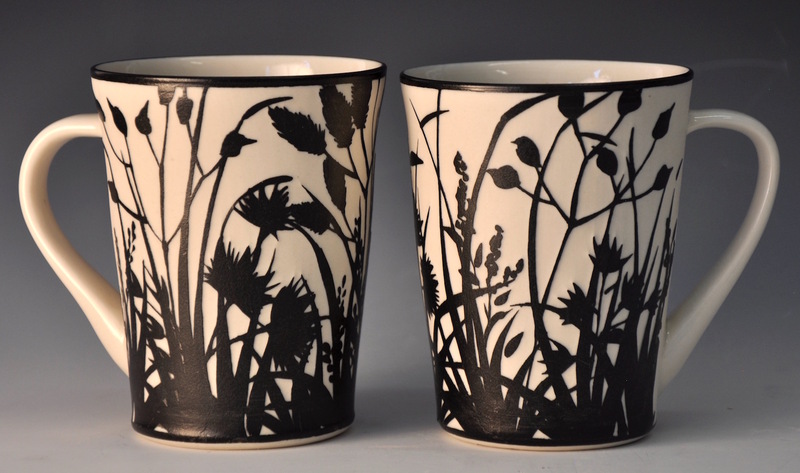 Katherine Hackl of Swan Street Studio in Lambertville has expanded her pottery work to include a new etched porcelain process. The technique blends some of the characteristics of her traditional sgraffito carved work and her hand painted brush work, while creating a look that is altogether new. 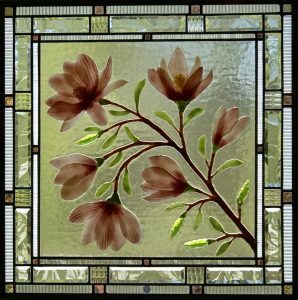 Also on the tour is the studio of Annelies van Dommelen at the north end of Lambertville on North Union Street. As a painter, printmaker and box maker, Annelies’s styles remain the same when crossing into each of these mediums. Moorland Studio in Stockton is the collaboration of Constance Bassett and David Cann, who are moving in the direction of manufacturing more furniture and lighting along with a continued development of sculpture and paintings. Dave mainly works in metals while Consie works in ceramics, oil paintings and mixed media assemblages. Karen and Geoff Caldwell of Sunflower Glass Studio outside Stockton are continuing to pursue their new passion of mixing many forms of glass into their pieces; fused, painted, beveled and stained glass. Karen’s fused botanical work is taking on new levels with exploring many native flowers, while Geoff is trying new painting techniques with his hand-painted work. Phoebe Wiley of the Long Lane Farm Studio outside of Sergeantsville is moving around from three to two dimensions, and back. She has painted canvasses that reflect what she has learned from making marks on pots, and is making pots that reflect 50 years of making marks on canvas. pastel painter, will be showing her recent paintings of animals, chickens, goats, sheep, ducks and cows. Also showing are Sheila Fernekes of Flemington, N.J., with contemporary one-of-a-kind jewelry, interweaving beads, silver, and gems, and glass blower Drew Montesano of Solebury. 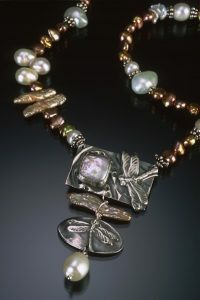 Diana Contine of Dakota Moon, Solebury, designs jewelry in silver with natural themes in combination with gemstones. Other artists will be Amy Turner of Doylestown who makes one-of-a-kind hand dyed scarves and shawls with beading or tapestry, Bernard Hohlfeld of Roundwood Studio, Doylestown, maker of a large variety of turned and hollow formed bowls. 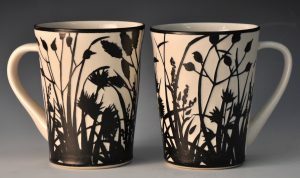 Sheila Coutin of Sandbrook Pottery, Sandbrook, NJ makes sculptural pottery and functional ware. Susan Nadelson of West Amwell, N.J., will be showing her hand-dyed and hand-spun yarn from fine wool, silk, mohair, kid, and alpaca and a new line of sweaters for small children using new super-wash wool. The free self-guided tour takes place from 10 a.m. to 5 p.m. Nov. 34 and 24, and from 10 a.m. to 4 p.m. Nov. 25.